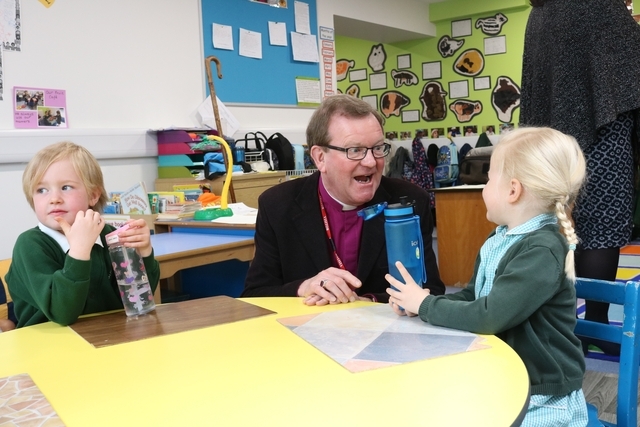 BISHOP Christopher was given the chance to meet pupils and see new classrooms on a visit to an island school. 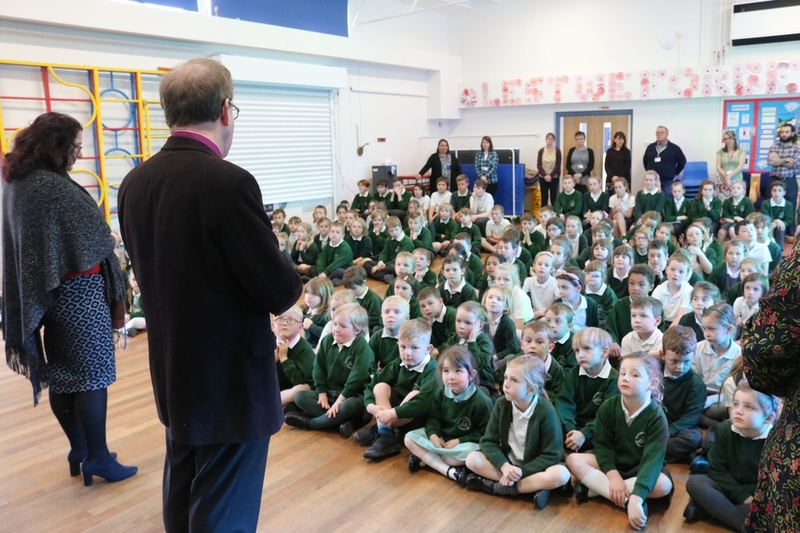 The bishop visited Shalfleet C of E Primary School, on the Isle of Wight, with Canon Peter Leonard, who will shortly begin his role as Archdeacon of the Isle of Wight. 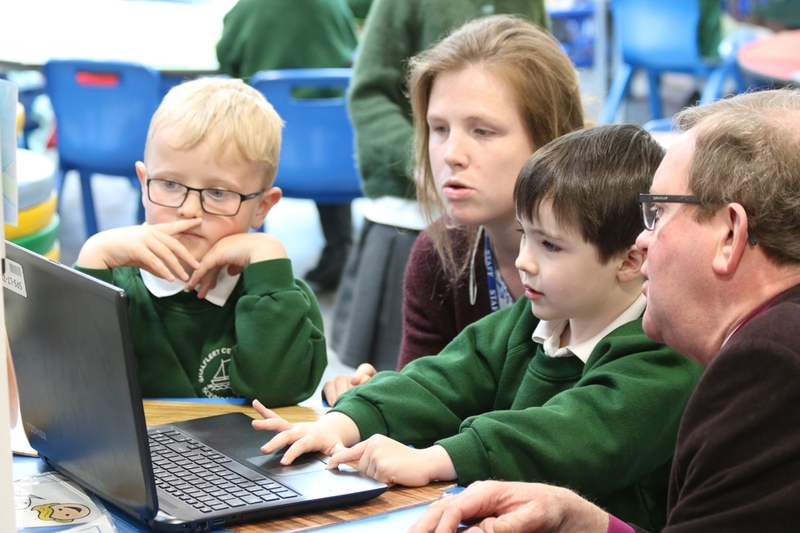 They were able to see the new classrooms created as part of building work that took place in the summer of 2018, which provided more space for pupils throughout the school - and a dedicated outdoor space for the school's youngest pupils. 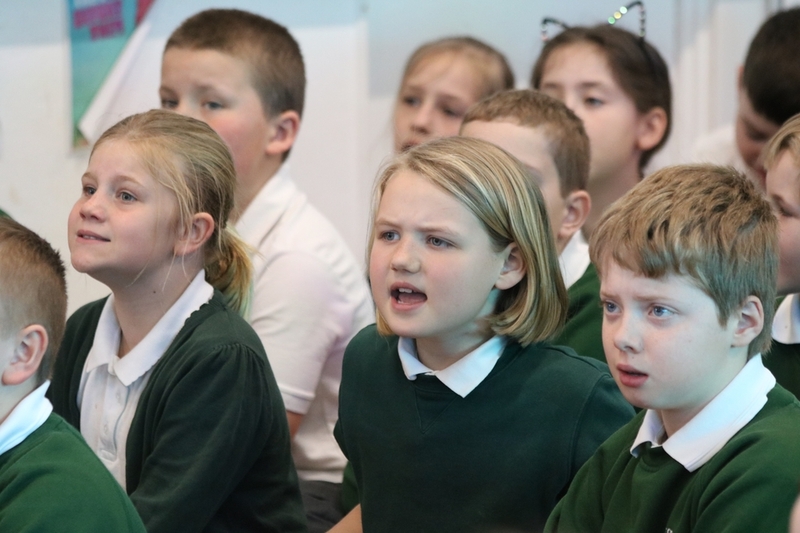 Two new modular classrooms were created for Years 5 and 6, while other building and decorating work took place inside the main school building. 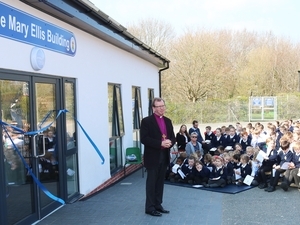 Headteacher Elizabeth Grainger also showed the bishop the new library, and rooms to support pupils with specific special needs. The work was done thanks to government funding, and also included extra space for the Little Explorers pre-school classes, who have their own separate building next to the main school. Pupil Jacob Alvarez, aged nine, showed the bishop his team's entry into the school's Dragon's Den challenge - a new kind of bookmark. 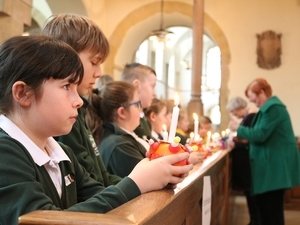 And the bishop also helped to lead a school assembly, at which he explained why he has a staff, and listened to children singing. 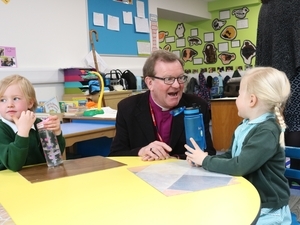 To see more photos from the bishop's visit, click here.